Problem gambling, or even the activity of gambling, is not something that a lot of parents think to talk to their kids about like they would alcohol, drugs, and other risky behaviors. A lot of parents we talk to say that they wouldn’t even know how to start that conversation. 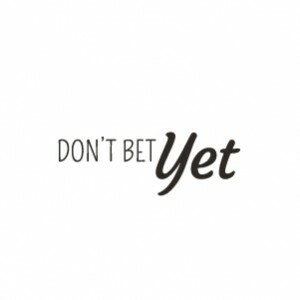 We’ve developed the “DontBetYet” campaign as a way to give parents tools and resources to use to start the conversation about problem gambling. DontBetYet is designed to educate kids in a way that is unique and interesting without focusing on the clinical and adult terminology often used in other literature. Explore Our Worksheets, Storybook, Cartoon and More! Are you or your child affected by problem gambling at home? The primary resource at DontBetYet is a short film titled Go Away Monster! The cartoon tells the story of a young boy who is experiencing the effects of his father’s gambling disorder. As he retreats from the real world into an alternate reality, he learns about gambling problems and what he can do to stay safe from gambling from an interesting array of characters. In addition to the cartoon, there are also downloadable materials available at DontBetYet. Included in those materials is a kids book, poster, worksheet and activities. Why Should Children Learn About Problem Gambling? If you need help sending the right messages, or want to learn more, check out DontBetYet!